Redfish Lake – besides the uniquely icy water, the red fish and the fantastic camping there are so many activities to do while visiting Redfish. The Redfish Lake Lodge at Redfish offers bike rentals, boat rentals, lake shuttle, paddleboats renting, Boche Ball, and a great General Store, so you’re always stocked up on your Redfish gear. The boating and cliff jumping are two of the most favorite activities for people who come to Redfish Lake. Horseback riding – a family-owned horseback outfitting business; Mystic Saddle Ranch has been open since 1969. All day rides, fishing trips, hunting excursions, multi-day pack trips, trail rides, wagon rides and cookouts are some of the activities you can do while horseback riding through the wilderness. 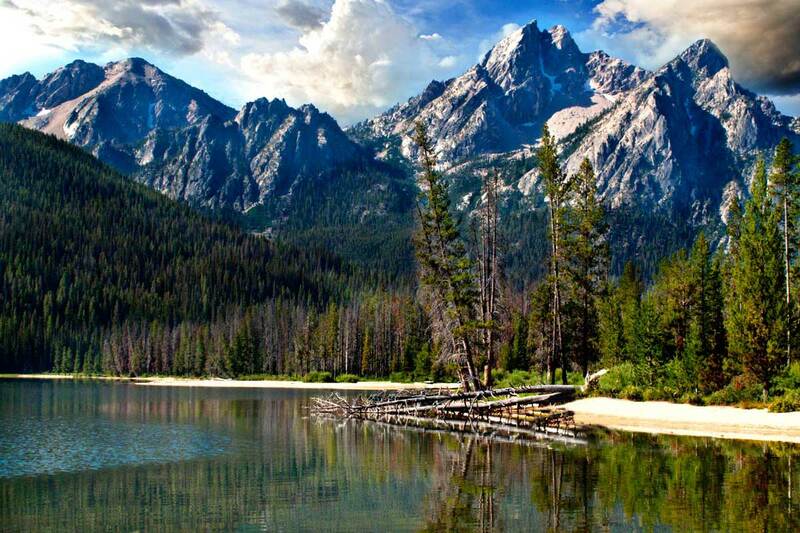 Sawtooth Mountains – hundreds of miles of trails in the Sawtooths and White Cloud Wilderness areas, including several intriguing day hikes that start from a couple of different areas including Redfish Lake Lodge. Galena Summit – get out of your car and enjoy the panoramic views of the Sawtooth Mountains at this beautiful overlook. This historic point looks out to the original road finished in 1881 to serve the mines located in Vienna and Sawtooth City near present-day Smiley Creek. You can still see some of the original roads today. Sun Valley, ID – located about 45 min from Stanley, ID it is well worth the drive. The rich culture, biking trails, succulent restaurants, alpine skiing and blue skies the activities are truly limitless. Salmon River – kayaking and rafting this whitewater experience is truly one of a kind. It is Idaho’s longest undammed, free-flowing river contained in a single state in the lower 48. Contact Caldwell Transportation today to set up a visit to Stanley, ID and have the opportunity to experience one of America’s hidden treasures.